Lori’s note: We used many sources in our (95% Russ) endeavor to change our legal domicile state from Connecticut to Florida. Since nothing can be 100% complete, nor 100% up-to-date we learned as we went. Russ decided to make good use of all the time and effort spent and created this page in the hope it will help others. Of course you all know the biggest reason we chose Florida, right? There are many advantages for full-time cruisers to become Florida residents, i.e. declaring the State of Florida as your domicile. The biggest advantage for us was to end paying Connecticut income tax. We’ve contributed more than our share for 25 years (When CT added a state income tax, residents were promised it wouldn’t be forever- ha!) & with no continuing physical or legal connection to Connecticut, it was completely legal for us to move out. Florida has no income tax, no personal property tax and no inheritance tax. The next important advantage was moving our mail receiving address from a CT UPS store to St. Brendan’s Isle (SBI) mail service in FL. Not only do they receive our mail & forward it to us when we request it, they scan the envelopes of our mail as it arrives & e-mail the images to us! We then choose to have it held, forwarded, shredded or opened with the contents scanned. This is great for us as we only have our mail forwarded to us every few months & were always worried that something important would arrive, such as a jury duty notice or a notice from the IRS. FL has reasonable driver’s license, auto & boat registration fees. Driver’s licenses are good for 8 years & you can even renew one-time on-line, so you only have to appear at a FL DMV office every 16 years! Florida does DMV transactions a little different – while there are some DMV offices, every county has large DMV operations within their Tax Collector offices. In CT a visit to DMV can take 1 – 3 hours to even make it to the counter. In Florida – 8 minutes! The steps which SBI & others list include dealing with Voter Registration separately – this appears to have changed – while obtaining your driver’s license you will be asked and can complete your Voter Registration at the same time in seconds. The State of Florida & most agencies will accept your SBI address (411 Walnut St., # ______, Green Cove Springs, FL 32043). However, some banks/investment companies may reject it under Patriot Act rules which require a residential address (they use software to verify). They may reject it initially, months or even years later. We dealt with this problem with our former UPS Store address as well. If you are not going to register a boat or a car in FL, it complicates the address issue. You will not be able to obtain a FL driver’s license due to the Federal Real ID Act without completing a special form which requires a FL residential address of a friend or family member. There may be an advantage to not going to a Clay County (Green Cove Springs) DMV. As SBI has 20,000 customers, the DMV office knows & accepts the 411 Walnut St. address, but some have told us they print your car registration or boat registration/documentation number in place of an address on your driver’s license. This is their way of doing it, but may present some issues when presenting your driver’s license as ID with no street address printed on it – just a strange number. The St. Lucie County office we went to apparently didn’t realize or care; our licenses simply have our 411 Walnut St. address which is a big plus, particularly when attempting to prove to banks that it is a legitimate residential address. Our new Florida bank was giving us grief until we showed them our new driver’s licenses. Especially if leaving a State with income taxes, it is imperative to completely remove any trace of residency. Some greedy States may “miss you” & attempt to continue collecting State taxes even after you’ve legally moved. A State may use every database possible to find a link, or may simply mail you tax bills & make you to “prove it”. To be safe, do not leave any old bank accounts open, move your possessions (especially if renting a self-storage unit), cancel gym memberships, do not rent a long-term boat slip in your old state – you get the idea. Also, if a bank pushes you on having a “residential” address, do not give the address of family or friend in your old state – your State may see that as residency. When there is an election – vote (absentee ballot is fine). To obtain your driver’s license, you’ll surrender your existing license- only briefly, then you get it back with a corner cut off. Bring a passport or birth certificate, Social Security card & 2 proofs of residency. These proofs of residency mess up many people. 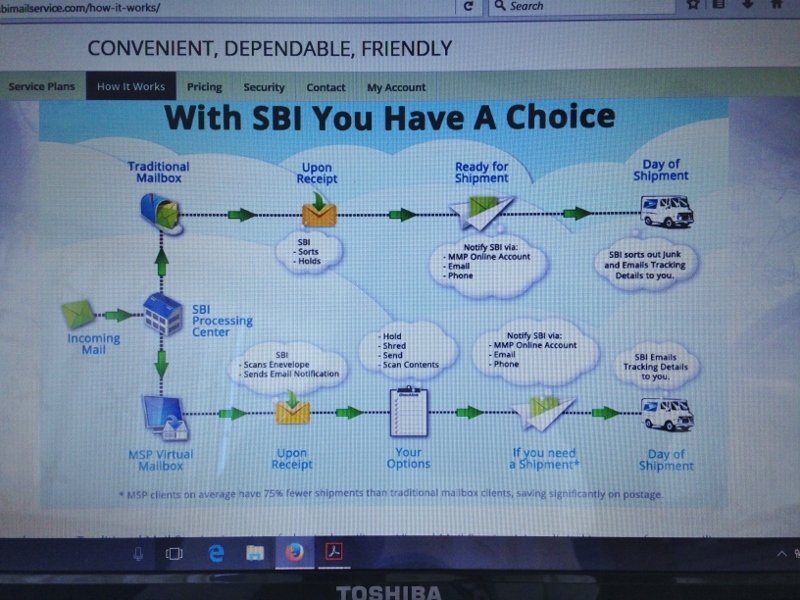 There is a list of documents on the SBI website, but 2 important points: They no longer have to be mailed envelopes of the documents – you can simply print out the allowed documents from the list (such as a bank statement with your new address). However, each of you need your own 2 documents with your name (or if sharing the documents, both of your names must be on them). Lastly, your name(s) & new address must be on the same side of paper – not front/back – that one caught us. When obtaining your car or boat registrations be sure to bring your existing registration and/or documentation certificates. Also important to bring are your original Bill of Sale, etc. showing the sales tax you have already paid. Without it, you may be responsible to pay FL sales/use tax (there are many rules on this – too many to cover here). A tip for your boat registration renewal date: It is the birthday of the first owner listed, so… make the first name the person whose birthday comes at the most convenient time of the year to renew & to receive the annual decal in the mail. Lastly, update legal documents such as your wills, living wills, etc. Some requirements & language are particular to Florida law.